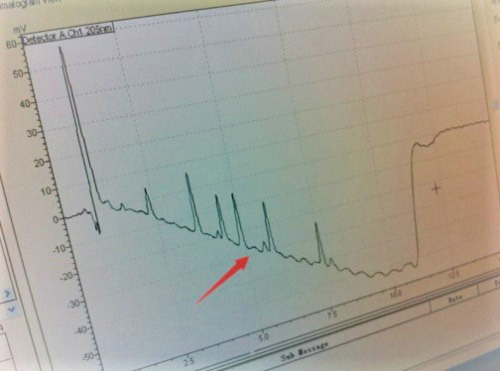 Liquid chromatograms are the gateway to open the world of unknown materials. Many problems in scientific research can be well reflected in chromatograms. Some problems can be solved by changing equipment parameters, while others must be modified by operating procedures. 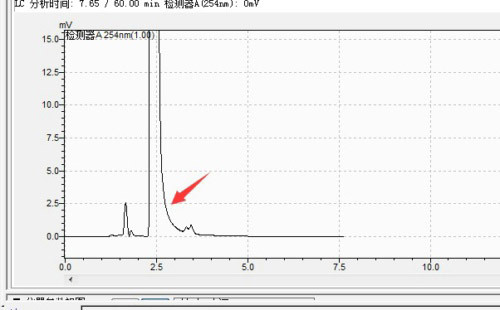 After all, the right choice of column and mobile phase is the key to getting a good chromatogram. There are 6 common problems we often meet during liquid chromatography separations. Each problem can be circumvented by utilizing proper method development strategies and tools. If the filter screen at both ends of the column is clogged, the sample will be blocked in the sieve plate to form a time delay, so that the peak shape will form a tail when the sample flows out after the column. It can be solved by backflushing columns or replace the sieve plate. It means that the column loses column efficiency due to other reasons and it cannot retain the substance, so that the material does not remain on the stationary phase and flows out with the mobile phase, but there is still a little column effect, thus forming a trailing tail. It can be solved by refilling the column or replace it. The sample does not start at the same starting line and runs from behind to reach the end point later, showing a trailing tail. It can be solved by replacing the column or using organic solvent gradient for more than 1 h to rinse the column. if there is a dynamic balance between the molecular type and the ionic type in some samples at a certain pH, the ionic form will gradually show a tailing to the molecular form. Adjusting the pH can inhibit molecular dissociation and improve tailing. For basic compounds, a relatively low pH value is more favorable for obtaining symmetrical peaks. The retained samples are successively released before the normal peak time to form a peak fronting, which reduce the sample content. 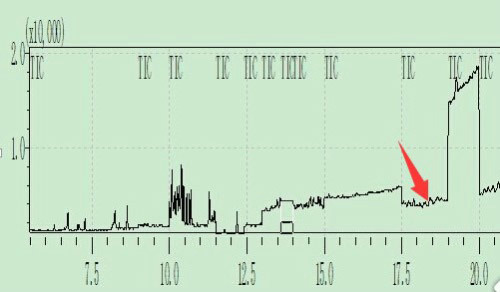 When the elution ability of the sample solvent is much stronger than that of the mobile phase, the peak fronting appears. 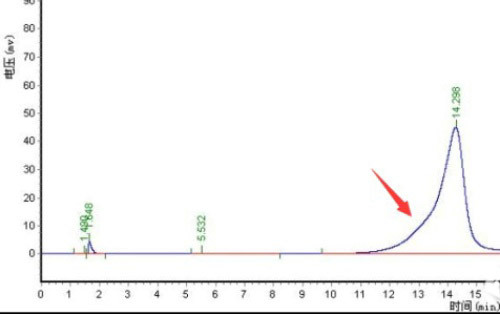 For example, when the nitrile is used as the sample solvent in the reverse phase chromatography, and the elution force of the mobile phase is weak. Peak fronting will appear. This problem can be solved by choosing mobile phase or similar ration of mobile phase as the sample solvent. Column efficiency loss, no material retention. It can only be solved by replacing the column. 4. 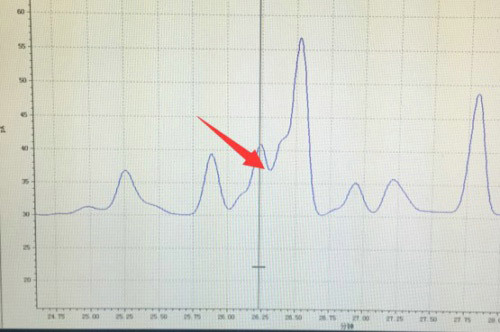 There is a small peak appearing before the big peak, which is the imaginary front peak. 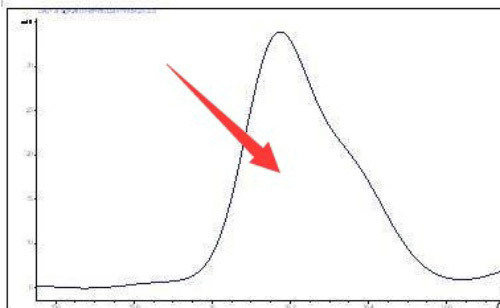 It is that the small peak is buried before the big peak, which can be solved by adjusting the mobile phase elution gradient. Even small temperature changes can cause fluctuations in the baseline, usually affecting the differential detector, conductivity detector, lower sensitivity UV detector or other photoelectric detector. It can be solved by using a column oven to control the temperature of the column and mobile phase and use a heat exchanger before the detector. The baseline drift caused by changes in mobile phase conditions is greater than the drift caused by temperature. It can be solved by using HPLC grade solvent and the mobile phase should be degassed prior to use. Flush the flow cell with methanol or other strong polar solvent. If necessary, use 1N nitric acid (do not use hydrochloric acid). Change the ratio or flow rate. To avoid this problem, please check the mobile phase composition and flow rate regularly. It is eluted as a peak of the taro, showing a gradually increasing baseline. It can be solved by using a guard column and, if necessary, periodically flush the column with a strong solvent between injections or during the analysis. 1. Column contamination or failure, resulting in a reduction in the number of plates: Replace with the same type new column. If the new column provides a symmetrical peak, flush the old column with a strong solvent. 2. The tubing between the column and the detector is too long or the inner diameter of the tubing is too large: replace the short tubing with a smaller inner diameter. 3. The detector is over responsive to reaction time or pool volume, which can be solved by reducing response time or using a smaller flow cell. 1. There is air (spike) in the mobile phase, detector or pump: Make sure the mobile phase is degassed and the system is flushed in order to remove air from the detector or pump. 2. Leakage: Check if the pipe joint is loose, if the pump leaks, if there is salt precipitation and abnormal noise. Replace the pump seal if necessary. 3. Incomplete mixing of the mobile phase: Mix well by hand or use a solvent with low viscosity. 4. Temperature effects (column temperature is too high or the detector is not heated): Use a column oven to reduce temperature differences or add heat exchangers. 5. There are other electronic devices (accidental noise) on the same line: disconnect the LC, detector and recorder, check if the interference is from the outside, and correct it. A precision regulated power supply is used. 1. The mobile phase gradient elution setting is unreasonable: optimize the gradient elution procedure. 2. Mobile phase contamination or deterioration (causing retention time changes): Reconfigure the mobile phase. 3. Guard column or analytical column blockage: Remove the guard column for analysis and replace the guard column if necessary; if the analytical column is blocked, backflush can be performed; if the problem still exists, the column may be damaged by strong retained contaminants. The regeneration procedure; If the problem persists, the inlet may be blocked, try to replace the sieve at the inlet or replace the column.